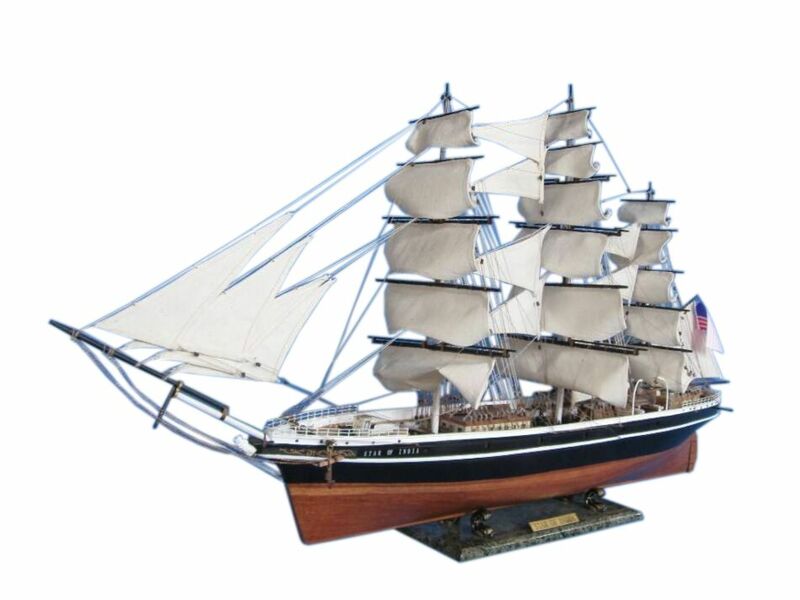 Museum-quality features and finely-crafted details capture the spirit and pride of the Star of India in this Limited Edition scale replica tall ships model. With devoted attention to historical accuracy, every detail on the Star of India authentically matches the famous clipper ship. Serving as the centerpiece of a meeting room, office or den, or perhaps setting a proud nautical tone for a corporate boardroom or family living room, these Limited Edition model tall ships are certain to inspire an indomitable winning spirit. Star of India was built in 1863 as Euterpe, a full-rigged iron windjammer ship in Ramsey, Isle of Man. After a full career sailing from Great Britain to India then to New Zealand, she became a salmon hauler on the Alaska then to California route. After retirement in 1926, she was restored between 1962 and 1963 and is now a seaworthy museum ship ported at the San Diego Maritime Museum in San Diego, United States. She is the oldest ship that still sails regularly and the oldest iron hulled merchant ship still floating. The ship is both a California and United States National Historic Landmark. Named for Euterpe, the muse of music, she was a full-rigged ship (a ship that has 3 masts and squaresails on all 3 masts) built of iron in 1863 by Gibson, McDonald & Arnold, of Ramsey, Isle of Man, for the Indian jute trade of Wakefield Nash & Company of Liverpool. She was launched on November 14, 1863, and assigned British Registration No.47617 and signal VPJK. Euterpe's career had a rough beginning. She sailed for Calcutta from Liverpool on January 9, 1864, under the command of Captain William John Storry. A collision with an unlighted, hit-and-run Spanish brig off the coast of Wales carried away the jib-boom and damaged other rigging. The crew became mutinous, refusing to continue, and she returned to Anglesey to repair; 17 of the crew were confined to the Beaumaris Jail at hard labor. Then, in 1865, Euterpe was forced to cut away her masts in a gale in the Bay of Bengal off Madras and limped to Trincomalee and Calcutta for repair. Captain Storry died during the return voyage to England and was buried at sea. After her near-disastrous first two voyages Euterpe was sold, first in 1871 to David Brown of London for whom she made four more relatively uneventful voyages to India, then again (displaced by steamers after the opening of the Suez Canal) in 1871 to Shaw, Savill & Company of London. In late 1871 she began twenty-five years of carrying passengers and freight in the New Zealand emigrant trade, each voyage going eastward around the world before returning to England. The fastest of her 21 passages to New Zealand took 100 days, the longest 143 days. She also made ports of call in Australia, California, and Chile. A baby was born on one of those trips en route to New Zealand, and was given the middle name Euterpe. In 1901, Euterpe was sold to the Alaska Packers' Association of San Francisco, who re-rigged her as a barque (converting the square-rigged aftermost mast to fore-and-aft) and in 1902 began carrying fishermen, cannery workers, coal and canning supplies each spring from Oakland, California to Nushagak in the Bering Sea, returning each fall with holds full of canned salmon. In 1906, the Association changed her name to be consistent with the rest of their fleet, and she became Star of India. She was laid up in 1923 after 22 Alaskan voyages; by that time, steam ruled the seas. In 1926, Star of India was sold to the Zoological Society of San Diego, to be the centerpiece of a planned museum and aquarium. The Great Depression and World War II caused that plan to be canceled; it wasn't until 1957 that her restoration began. Alan Villiers, a windjammer captain and author, came to San Diego on a lecture tour. Seeing Star decaying in the harbor, he publicized the situation and inspired a group of citizens to form the "Star of India Auxiliary" in 1959 to support the restoration of the ship. Progress was still slow, but in 1976, Star of India finally put to sea again. She currently houses exhibits for the Maritime Museum of San Diego, is kept fully seaworthy, and sails at least once a year. 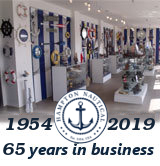 With the many other ships now in the Museum, she hosts frequent docent-led school tours (over 6,000 children a year) and also a Living History Program in which students "step back in time" and are immersed in history and teamwork activities during overnight visits. The 1863 Star of India is the fourth oldest ship afloat in the United States, after the 1797 USS Constitution, the 1841 Charles W Morgan, and 1854 USS Constellation, and is the oldest ship in the entire world that still sails regularly. Unlike many preserved or restored vessels, her hull, cabins and equipment are nearly 100% original.